You may have heard of the whoosh effect. This buzzy weight-loss term supposedly describes a phenomenon in which fat cells fill with water, feel “squishy” for a bit, then — whoosh! — release all that water so you drop a few pounds seemingly overnight. If that sounds like a made-up term, that’s because… it is. Here’s what you need to know about this persistent fitness myth. The excerpt goes on to explain that in McDonald’s college years, a professor “threw out the idea” that when fat cells are emptied of triglycerides, they temporarily fill with water instead. When this happens, your body becomes “squishy,” and you experience a plateau in weight loss. Eventually the cells release the water, which “whooshes” out, causing you to drop a few pounds seemingly in one trip to the bathroom. The idea of the fat whoosh caught the attention of Reddit keto boards around 2014. Then pseudo-health bloggers (and anyone else hoping to get clicks and views) hopped on the bandwagon, claiming that the fat whoosh is a legit, science-backed weight-loss phenomenon. It may sound plausible — especially if you’ve struggled with a weight-loss plateau — but there’s no truth to it. 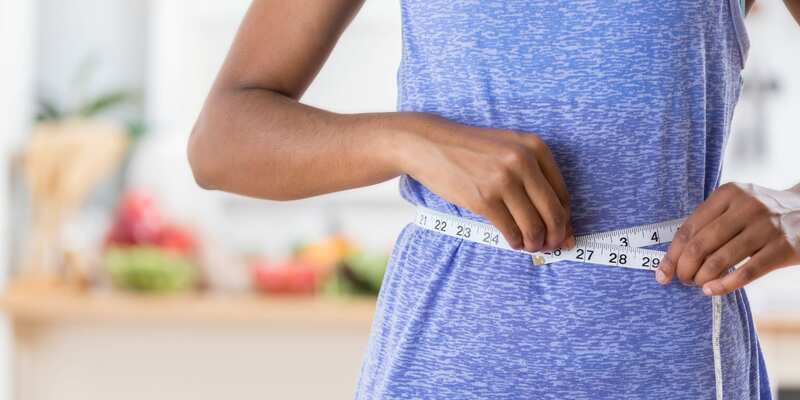 “There is a lot of quackery out there about weight loss, and the whoosh effect is definitely in that category,” says Andrea N. Giancoli, MPH, RD, nutrition manager for Openfit. What’s the Science Behind the Whoosh Effect? There isn’t much in the way of whoosh effect science. In one study of 27 obese men and women, published in 2003, subjects who lost about 14.5 percent of their body weight in nine weeks appeared to gain water in their fat cells. However, the subjects maintained that water during a year of follow-up — it didn’t “whoosh” away. Other articles claim that drinking alcohol can trigger the whoosh effect by dehydrating you. But again, there is no scientific proof. “Beer is 95 percent water,” Giancoli notes. And the calories from alcohol can quickly add up, which won’t help you lose weight. Is the Whoosh Effect a Real Thing? Short answer: No. “As your fat cells become smaller, they are not getting refilled with water and then collapsing,” Giancoli adds. The actual science of fat loss is that, as you lose weight, fat breaks down into carbon dioxide and water. Most of that is exhaled as carbon dioxide, Giancoli explains. The rest is excreted through water — which could be urine, sweat, or breath vapor. Some people mistakenly think they’ve experienced the whoosh effect, because they briefly hit a weight-loss plateau before losing a few more pounds. But there could be many reasons for this — like changes in your salt intake or alcohol intake, following your meal plan more closely, or hormonal fluctuations in women. The real science is that the whoosh effect is “physiologically impossible,” Giancoli says. And Church agrees: “Tens of thousands of data points show there is no such thing as a whoosh effect,” he says.